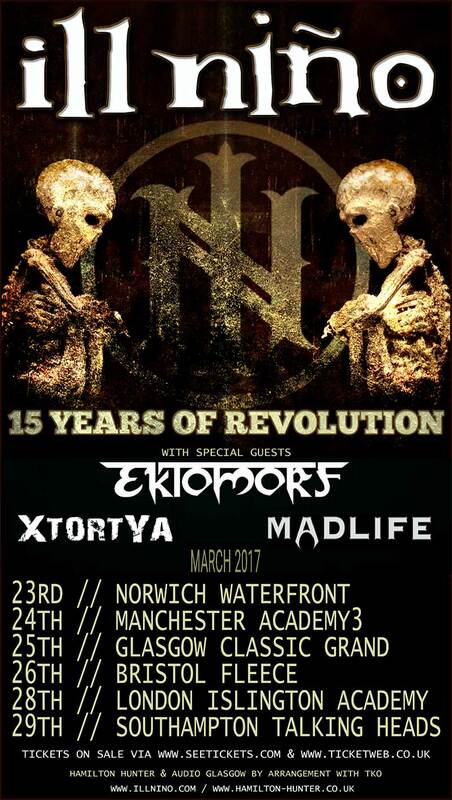 Ill Nino - bios, videos, news, reviews, and more. 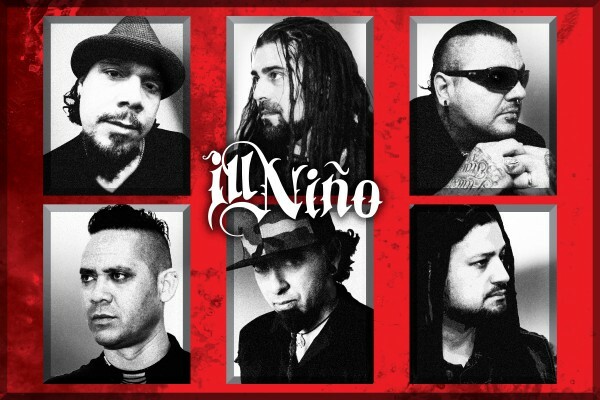 ILL NINO's story begins in New Jersey in 1998 as 'EL NINO' founded by drummer Dave Chavarri. 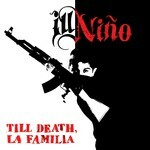 Creative juices flowing, EL NINO released a four-song demo that year with vocalist Jorge Rosado, formerly of MERAUDER. While successful, the band believed that their then bassist, Cristian Machado, would be better suited as a front man, replacing Jorge the next year. Utilizing Machado's boundless vocal range, the band began to fine-tune their new sound, releasing an EP in 2000 that landed them a contract with Roadrunner Records shortly after. One thing became increasingly obvious - metal fans ate up what ILL NINO was dishing out. Surprising the world with their Latin rhythm, Spanish guitar riffs and controlled blasts of snare, the band?s following continued to grow by the thousands. Through Victory Records, Chavarri produced Dead New World, released October 25th 2010, which landed ILL NINO on the main stage at Soundwave Festival 2011, playing for an endless sea of headbanging fans. In response to the flood of support, even ESPN enlisted the guys to write a custom track to play during their NFL Latin coverage. Their ability to infuse melody into dangerously dark metal continues to get metal-heads on the edge of their seats waiting for what they'll unleash next. The wait was finally over on October 22nd, 2012 with the release of their latest album Epidemia. Staying relevant and heavy as ever, critics and fans alike have welcomed Epidemia with open arms, delighted to hear the clean vocals, creative drumming and powerful guitar chugging they had been missing for so long. Both longtime and new fans agree that ILL NINO have cemented themselves as major players in the metal scene, as they continue to grow individually as musicians. While the saying goes "It's not where you've been, it's where you're going", in the case of ILL NINO, they have, are and will always be the undisputed kings of metal. Keeping their Latin-infused metal alive, ILL NINO showed their true colors as they headline the American Epidemia Tour in September 2013. Giving back to the fans that have given them so much in return, ILL NINO honored the US Military personnel, offering free and 2 for 1 admission to the shows. With strong ties to the cause, the American Epidemia Tour will reintroduce metal as an integral energizing force for the human spirit, that keeps them pushing and persevering. With the release of a powerful music video for "Forgive Me Father", ILL NINO continues to remind us what impassioned, thoughtful lyricism and delivery is all about. Stay tuned for new material this year. Long live metal and long live ILL NINO.